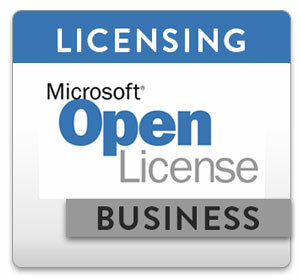 Access 2010 is a GUI-based database program for organizing personal or business information. Microsoft Access 2010 is all about simplicity, with ready-to-go templates to get you going and powerful tools that stay relevant as your data grows. It empowers you to make the most of your information, even if you're not a database expert. 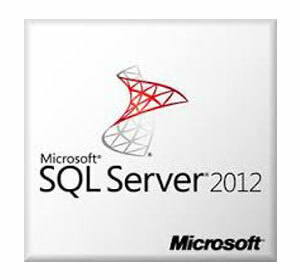 SQL Server 2012 delivers mission-critical performance across all workloads with in-memory technologies built in, faster insights from any data with familiar tools like Excel, and a platform for hybrid cloud that enables organizations to easily build, deploy, and manage solutions that span on-premises and cloud. 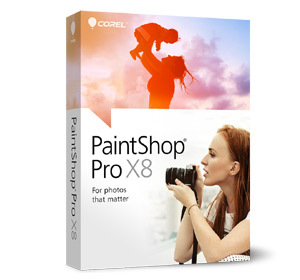 Create the photo and video projects you have been imagining with the unlimited creativity of Corel PaintShop Pro X7. 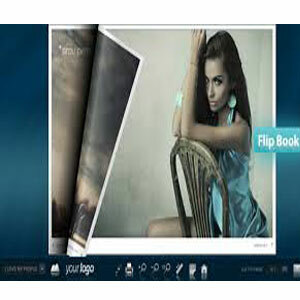 This complete software collection combines photo editing, graphic design and video editing in one. Enhance photos in seconds, create and composite graphics, and produce impressive photo, print and web projects. Tell, sell or entertain in video. Achieve YouTube stardom via screen-capture tools, and get everything you need for video blogs, how-to videos, and home or business video. 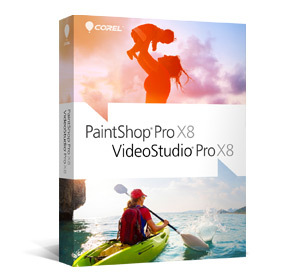 With an intuitive 1-2-3 interface, fast performance and built-in learning resources, Corel PaintShop Pro X8 & VideoStudio Pro X8 is the photo video editing software you need! 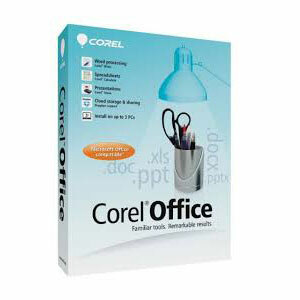 Get Microsoft Office-compatible word-processing, spreadsheets and presentations software-for less-with Corel Office! Be productive right away thanks to the familiar, ribbon-style interface. 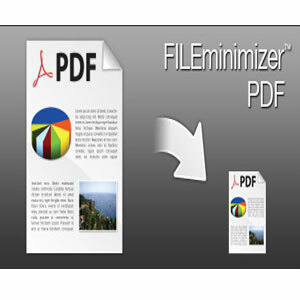 Save files to PDF format without additional software. Easily share files online via the cloud with support for Dropbox. 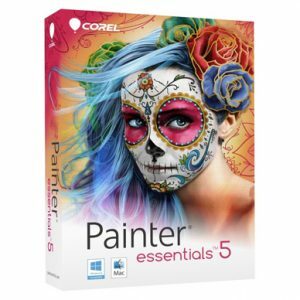 With all this and a single-user license to install on 3 computers, Corel Office is the smart solution for your home and small business. 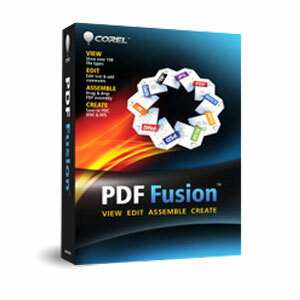 Boost your productivity with Corel PDF Fusion, an all-in-one PDF creator that lets you assemble, edit and create PDFs. Open more than 100 different file types just by dragging and dropping them onto the Welcome Screen. Take pages from multiple files, including documents, spreadsheets and presentations, and combine them into a single PDF to share with anyone. Add new text, bookmarks and comments. Plus, convert files to PDF, PDF/A, XPS and DOC formats with just a click. 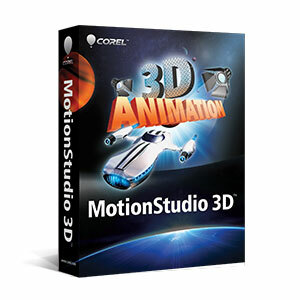 With Corel’s MotionStudio 3D you can create 3D visual effects, 3D graphics and compositing! Corel MotionStudio 3D allows you to add a new dimension to your video production by creating superb visual effects, particle systems and 3D titles. The application allows you to create 3D effects, 3D titles and animated text with stacks of presets that make it simple. The high-end particle systems available include fire, smoke, bubbles and others. You can even add realistic motion blur to moving objects and make or import 3D models. 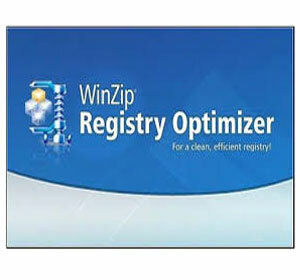 WinZip Registry Optimizer is a registry cleaner software designed to help improve the performance of your Windows-based PC. The registry scan took 49 seconds to scan our test computer's registry and found 170 errors. The scan summary screen provided detailed information about each discovered error. 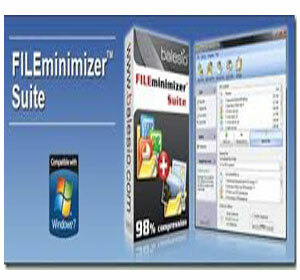 With the software, you can choose to either exam each error individually or to use the single button cleaner and allow WinZip Registry Optimizer to repair the errors according to the software's recommendations.The software has a registry defrag tool to better organize your system's registry for increased performance. The registry defrag tool includes a progress screen, which is useful as it provides a time frame to the lengthy defragmentation repair. The WinZip Malware Protector software boasts of its capability to detect and remove various threats emanating from malicious contents such as malwares, and Trojans. This antimalware tool is capable of searching for malicious contents in virtually every nook and corner of the computer without seriously compromising with its performance. Thus, it allows its users to enjoy high level of security against any possible intrusion by malwares, Trojans, worms, and their like with the intention of stealing information and making the system vulnerable to all subsequent attacks. 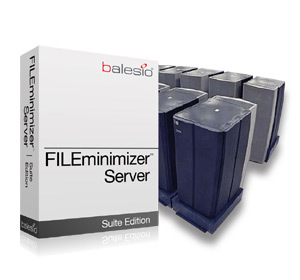 It can also help business organizations in preventing wastage of bandwidth and storage space by removing malwares. It is a new anti-malware program for securing your PC from malware, trojans, spywares, adware and other threat. It thoroughly scans cookies, memory, registry and files and folders for any malicious threats on your system. It's not a complete internet security suite, just a simple but effective program which is designed to mainly protect your PC, files, passwords and personal information. 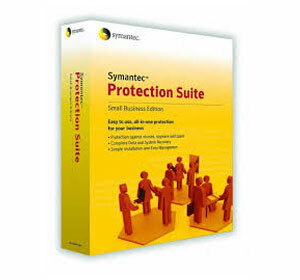 If you need an application which offers complete antivirus solutions, this software maybe not your perfect choice. 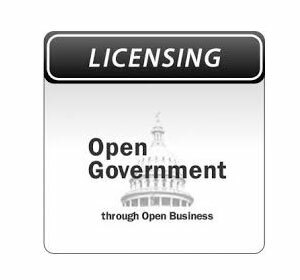 Overall, this program is a good option for protecting personal information and action activities on the system that may lead to loss of privacy. 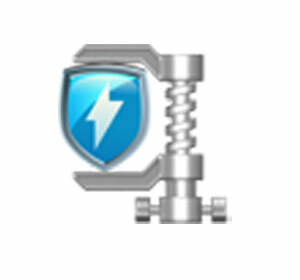 WinZip is the original and world's most popular file compression software for Windows. 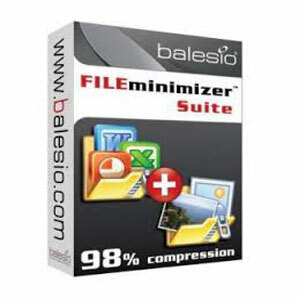 No other file compression utility is as easy-to-use or offers the comprehensive feature set and productivity-enhancing approach that has made WinZip the gold standard in file compression tools. 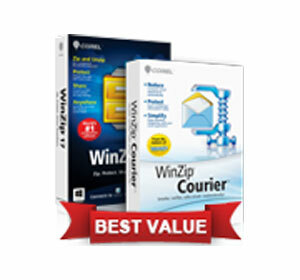 Now including support for Windows 7 and featuring an Office 2010-style ribbon interface, WinZip works the way you think, zipping and unzipping files effortlessly for quick, efficient, and secure uploading and downloading, email transmission, and data archival. With WinZip you can quickly zip and unzip files to conserve storage space, speed up emails, and decrease download times. In addition to state-of-the-art file compression, WinZip offers strong AES encryption for securing sensitive data, the ability to bundle files into convenient, compressed packages and share them instantly, and an automated data backup facility to prevent data loss. 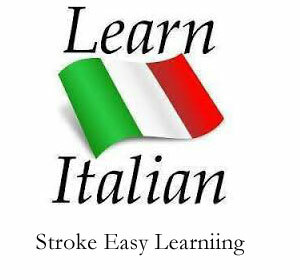 Strokes Learn Italian Language Courses DVD language course for your PC. Including pronunciation Trainer, Vocabulary Trainer, complete base Grammar and Dictionary! From the beginner to advanced levels and foreign language fluency. EASY LEARNING Italian is a course for Beginners, Intermediate and Advanced Business covering the EU-Standards A1 to C1. Knowing French today can open doors in fields as diverse as the automotive industry, scientific research (German is the second most common scientific research language), the arts, software development and many of the world’s booming industries. 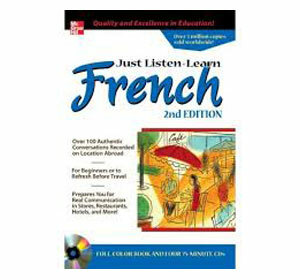 Learn French with Strokes Easy Learning available as Download and DVD Box Version -Strokes International: Learn French with the language Software from Strokes Easy Learning. 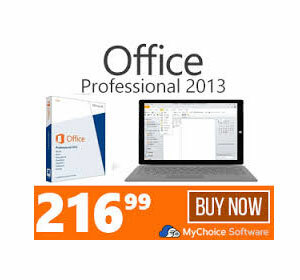 Also available as Download Version for Mac an Windows. From the beginner to advanced levels and foreign language fluency. Learn German software can help you make the German language your own. Don't let your dream of communicating effectively with the people fade away. 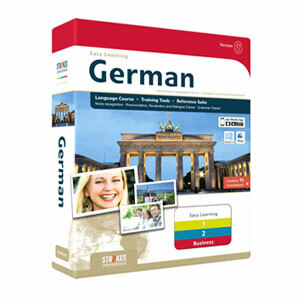 Start today by finding the best learn German software that can help you enjoy this fascinating language. If you want to learn Spanish, you have established a worthy goal. If your work schedule or family responsibilities make it difficult for you to take a language class at the local community college, instructional software is one of the best ways for you to learn Spanish. Spanish learning software is convenient because it leaves scheduling your time up to you and allows you to study at your own pace.